Update your LinkedIn profile and give some LinkedIn recommendations. People have the tendency to set it and forget it when it comes to LinkedIn but in doing so they are missing out on some huge opportunities. If it’s been awhile since you’ve updated your profile, give it a once over. Want to beef up your recommendations? Remember, give to get. Surprise and delight others by giving out recommendations – you might just be surprised what results in return! 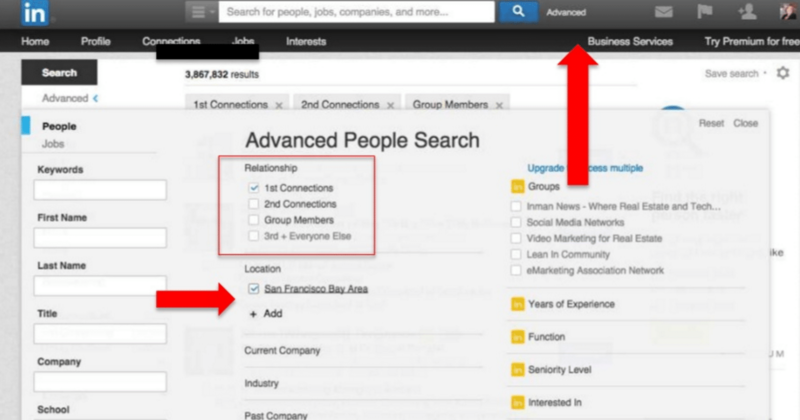 Use the advanced search function on LinkedIn for prospecting. Prospect using the advanced function in LinkedIn. Another amazing and often underutilized feature of LinkedIn is the advanced search function. This is a fantastic tool for prospecting. Using the advanced search, you can search your 1st connections, 2nd connections, geography, companies and more. This is a free, really powerful tool to help you weed through the noise on LinkedIn and discover and nurture new relationships. The search function of Twitter is an excellent prospecting tool as well. Prospect with Twitter. 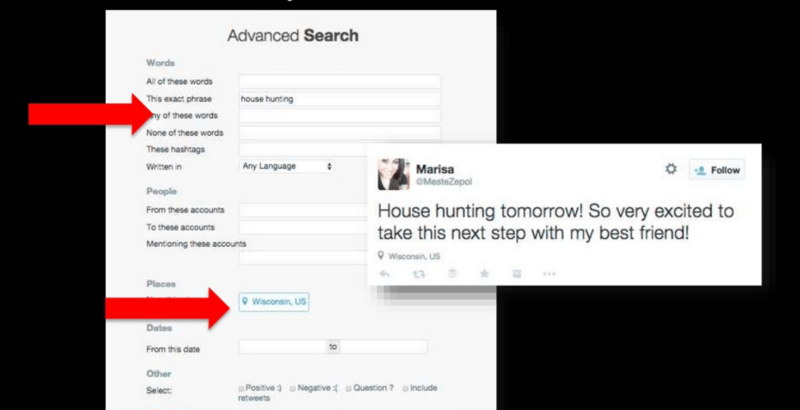 Another great prospecting tool is Twitter’s advanced search function. You can find this at Search.Twitter.com. This is a great place to search for people that are tweeting about certain topics and/or within a geographical area. The great thing about Twitter is that it is a platform where it’s okay to engage with people you don’t know yet. Respond in an authentic and not sales focused way and it’s a wonderful way to meet new potential customers and clients. Become a thought leader – create content on LinkedIn or on your own blog. At the heart of any social media strategy should be a solid content creation plan. Whether you are creating content on your own website or blog or taking advantage of LinkedIn’s blog feature – creating content is a must! Especially when blogging on LinkedIn, come from a place of leadership and/or relatable business insight. This is an incredible tool for building credibility and establishing authority in your field. Use Facebook lists to get more intentional with your social media. Get intentional with Facebook lists. As many of you know, I’m a huge fan of Facebook lists. To get started, go to Facebook.com/bookmarks/lists to start creating your lists. I suggest creating a minimum of two lists: clients and potential clients. The advantage of this is that when you go on Facebook, instead of just looking at your busy newsfeed, you can look at your lists and authentically engage with them. Again, a great way of breaking through the noise and making a greater impact with your social media efforts. 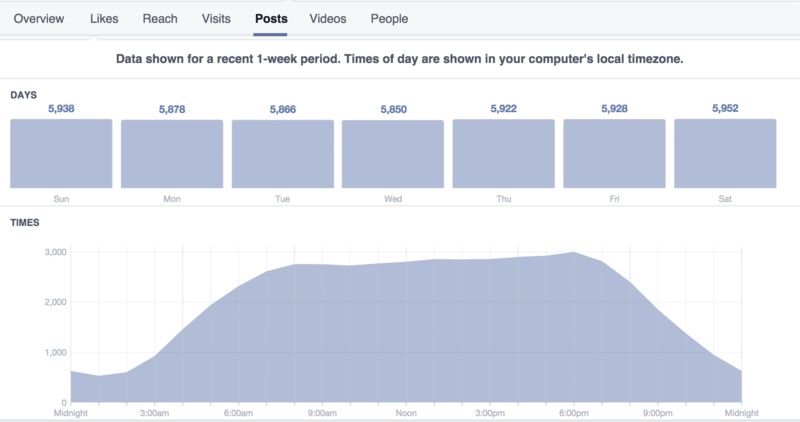 Utilize the Facebook insights tool to see when your fans are online and engaged. Use Facebook insights – reach people at the right time. If you have a Facebook business page, make sure you’re looking at your insights. There is a ton of information within the insights tool but one of my favorites is this graph which shows you when the people that like your page are online and active. Use this to schedule posts to increase your reach and engagement rates. Leverage visual and video marketing. Instagram is a huge tool for visual marketing, it’s also a great platform to connect with Millennials, Gen X and Gen Y. Of course, video is also huge. Publishing videos on your YouTube channel or Facebook business page can really boost your engagement. Live streaming video is the latest medium and apps such as Periscope are changing the game when it comes to social media. If you haven’t tried it yet, I highly recommend jumping on Periscope and checking it out! 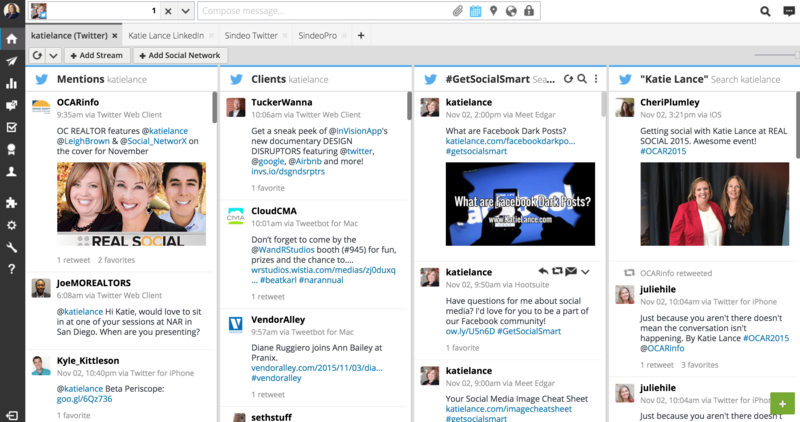 Hootsuite is one of my favorite tools for managing social media. Use the right tools to manage your content and your brand. Some of my personal favorite tools are Hootsuite, Sprout Social and Buffer for social media management. Mention.net, SocialMention.com and Google Alerts are great tools for brand and reputation management. Having the right tools in place can help to streamline your efforts and help you see stronger results. Keep a notebook of your ideas. Pick a day you will publish – stick to it. Schedule time to write or create. Have a system for what happens AFTER you publish content. Decide who is going to write or create content. Who is going to edit? Start doing just a few of these nine ideas and you’re sure to see some great improvements in your social media strategy! Will you be implementing any of these tips? I’d love to hear! Jump on over to our #GetSocialSmart with Katie Lance Consulting Facebook Group to share your results and join in the conversation. I’ll see you there!